When remodeling a kitchen consider a Back Splash as part of your upgrades. Back splashes are a durable wall covering that protects your walls from water resulting in stains and molds. A kitchen is a high traffic area where most food preparation is made and is most likely to come into contact with water and greasy foods spatters. You can enhance any floor or wall installation with these exquisite 12×14 mesh mounted marble mosaics with the immanent natural shading of these classic stones. 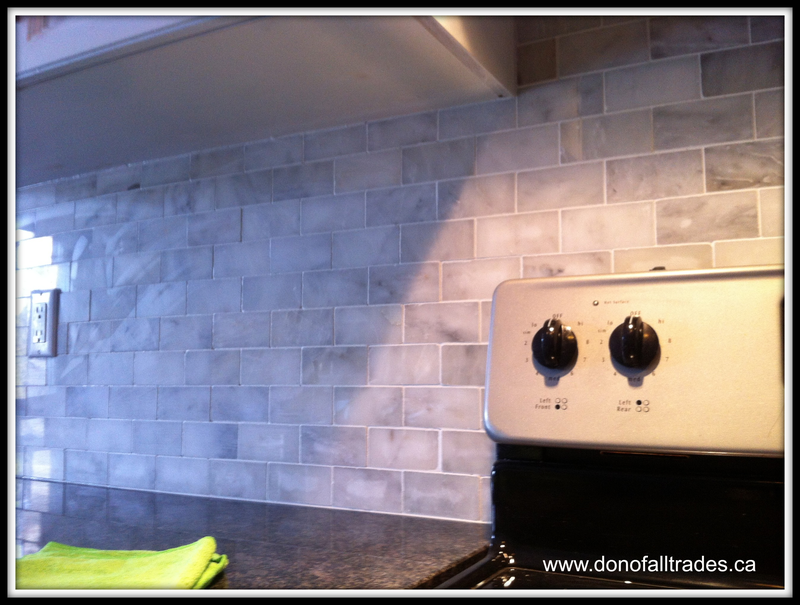 Don of All Trades Professional Home Maintenance Services recently installed this beautiful Sassi brand Bianco Polished Brick Mosaics kitchen back splash . The results were and spectacular not to mention this natural stone is an interesting product to work with. 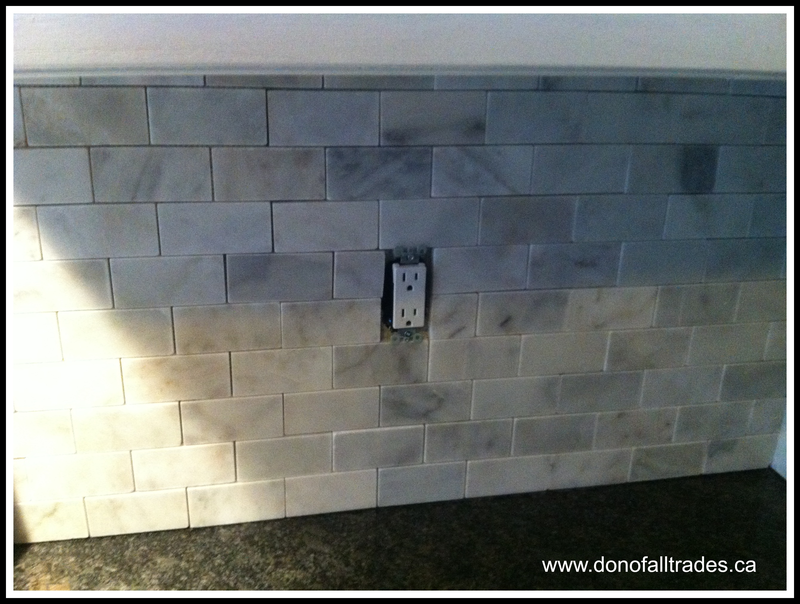 If you are planning on a DIY project, we have provided 8 valuable tips to help you with your Bianco Polished Brick Mosaics Kitchen Back Splash installation including before and after photos to help you get the maximum results. This is a natural stone product. The shade and colours will vary within cartons. Mix tiles from different cases to ensure optimal blending and install with mortar thin-set or tile adhesive. When installing natural marble keep in mind that the stone is very soft and when you cut the stone be mindful that at the end of the cut you have the possibility of breaking the stone. We recommend using a scrap piece of stone tile behind the tile that is being cut to stabilize the cutting blade and reduce tile breakage. When installing 12×12 sheet tile it is very important to use the proper v-notch trowel when applying the tile adhesive. By applying too much adhesive and you will run into all sorts of problems with tile slippage and the adhesive squeezing out of the grout joints. Always follow manufactures recommendation on trowel size. When installing natural stone marble keep in mind that this type of stone is very heavy and you will need to use the proper mastic. All tile adhesive are not created equal. 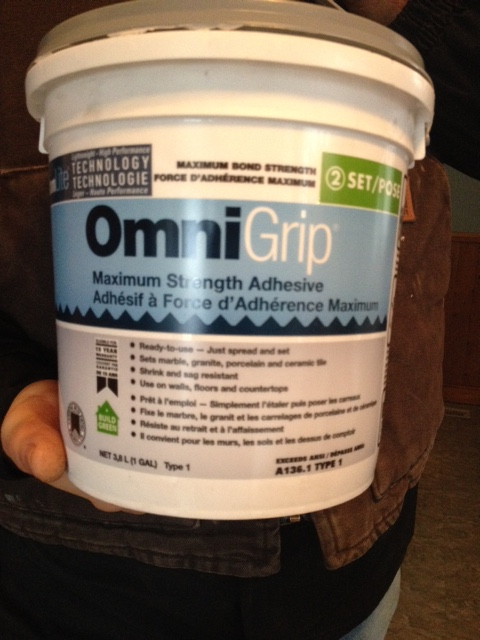 You will want to find a tile adhesive that is specified for use on natural stone. One that has a high bond strength and that will not sag is recommended. Ask your supplier what they carry and what’s best for your application. 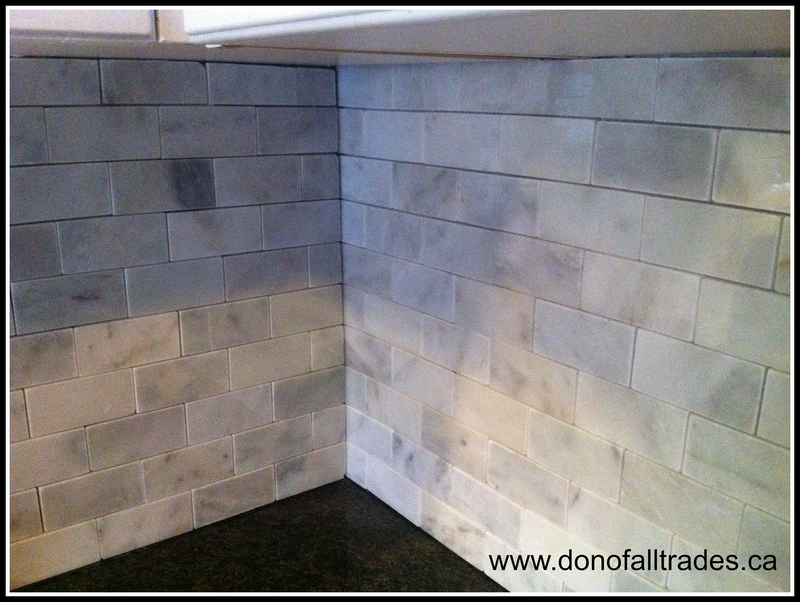 All natural stone needs to be sealed prior to grouting. Natural stone is very pores and will absorb the grout colour and hide the natural features of the stone. Not to mention it could ruin the job by giving an undesired look. A premium penetrating sealer that can enhance the features of the natural stone is recommended. When picking a grout try to find one that complements all the colours that are in your natural stone. Typically when installing natural stone you want to use a non sanded grout. Natural stone scratches very easily and you don’t want to damage the finish on the stone with the sand. The second reason is these grout joints were less than 3 millimeters and it would be difficult to put sanded grout in such small joints. Maintenance and care. Wipe sealed stone with a damp cloth. Only use cleaners specifically designed for natural stone. 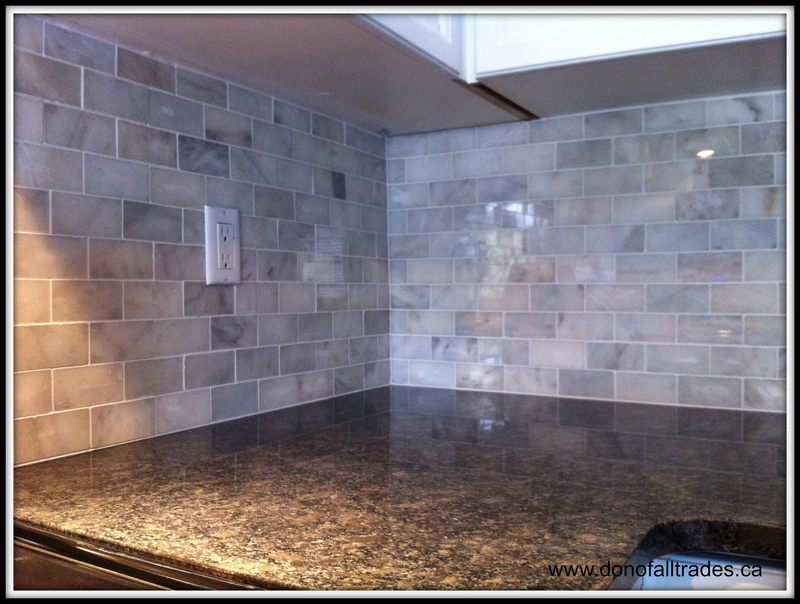 Once you kitchen back splash project is complete, natural stone will give beauty and durability and should last a lifetime with proper maintenance. 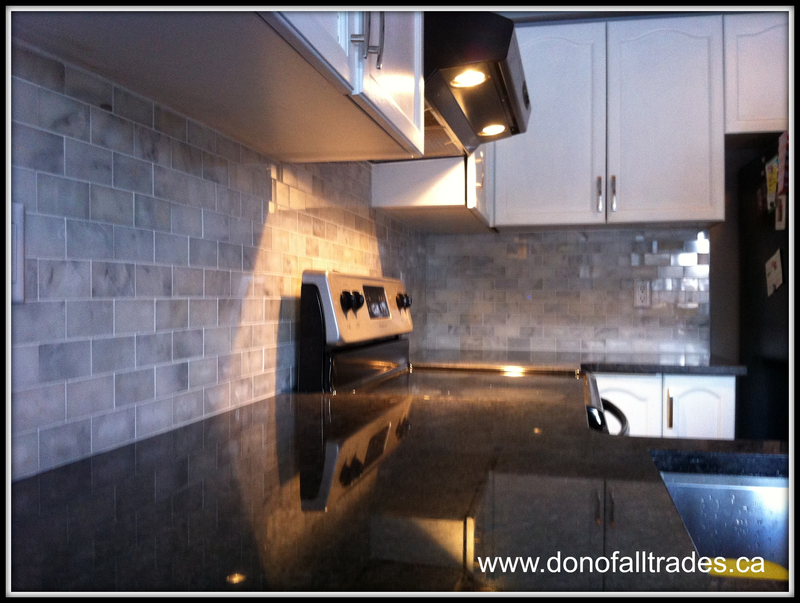 Don did a fantastic job on our backsplash. 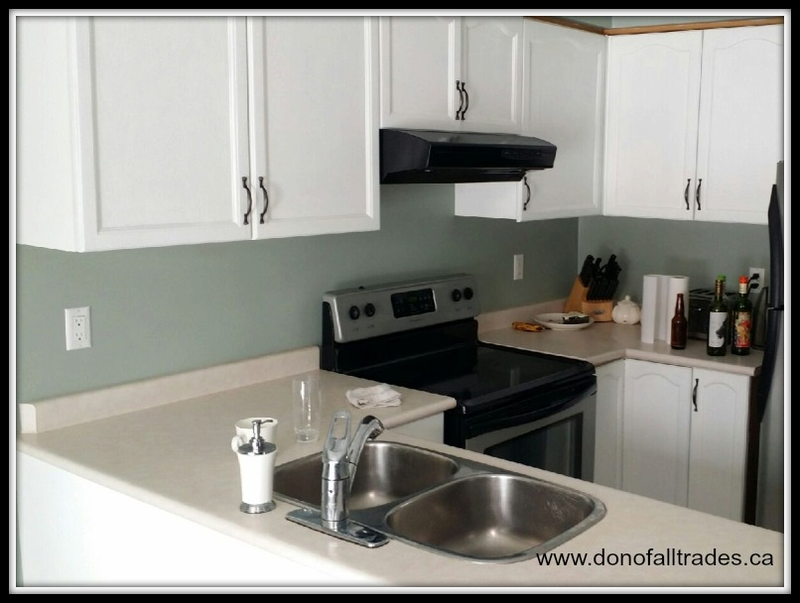 He came to our home and provided a quote and was able to do the backsplash the following week. He pays great attention to details. He was willing to come on multiple days in order to ensure that our stone was properly sealed, and grouted. The finished product is more than I could have even expected. He was very professional and just a wonderful person to do business with. We will certainly contact Don again when we do future renovations! Click On Our Logo Below To Find Out More About Our Services! 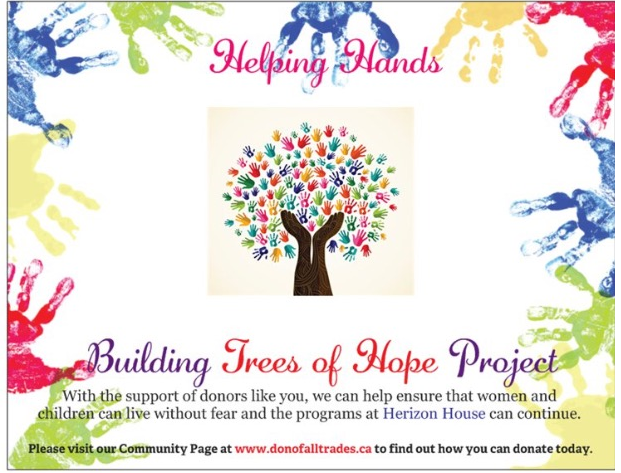 Watch Our Video To Learn How We Made A Difference in 2015!